Dear readers, you’re very numerous on this blog and you meet many of our customers thanks to this blog. However, for this new year, we have also decided to create an events review to speak about us. This annual review is more than a simple brochure. It’s a way to explain how we work and what we do. So if you’re interested in reading this review about Events & Home, do not hesitate, we’ll send you a copy. Currently here are some samples of this events review. The review show all the differents our team organie every year. In this blog, we only speak about weddings but we also plan seminars, gala dinner and ephemeral show-room. 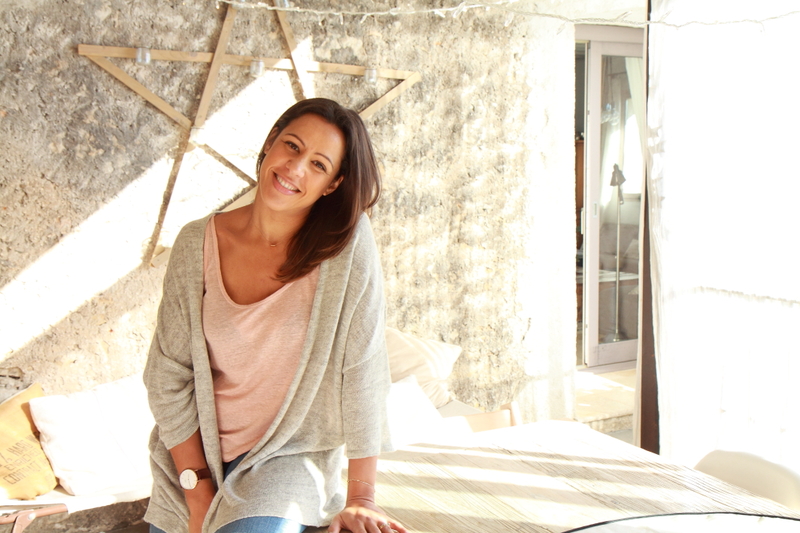 I am sur you’ll appreciate to discover a little bit more our company Events & Home ! But, given the fact that this blog is dedicated to weddings, we’ll show you the wedding pages first. 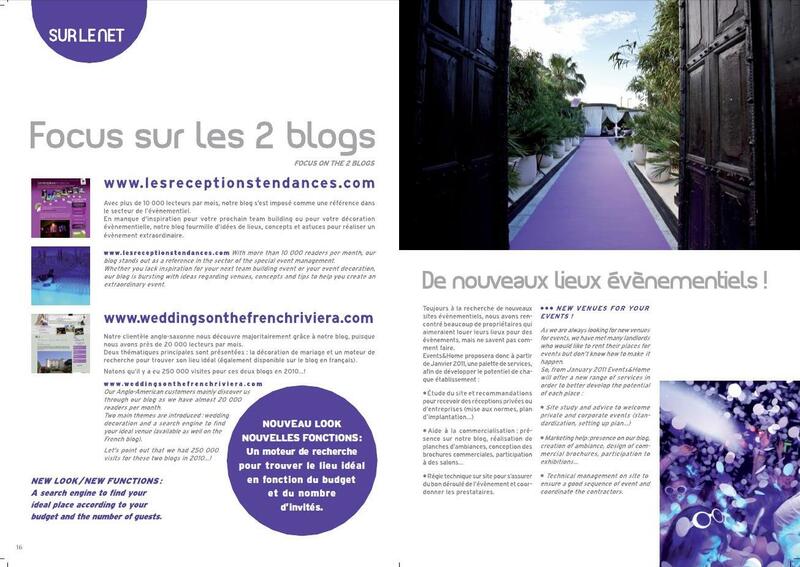 Last but not least, you’ll be able to read in this events review some informations about the blogs and above all our wishes to work more and more abroad, especially in Morocco. 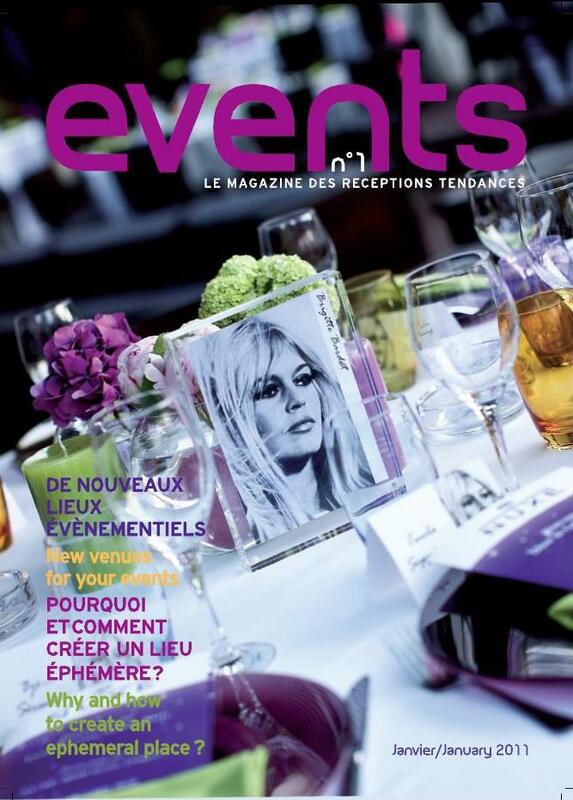 Please do not hesitate to tell us what you think about this events review from Events & Home ! 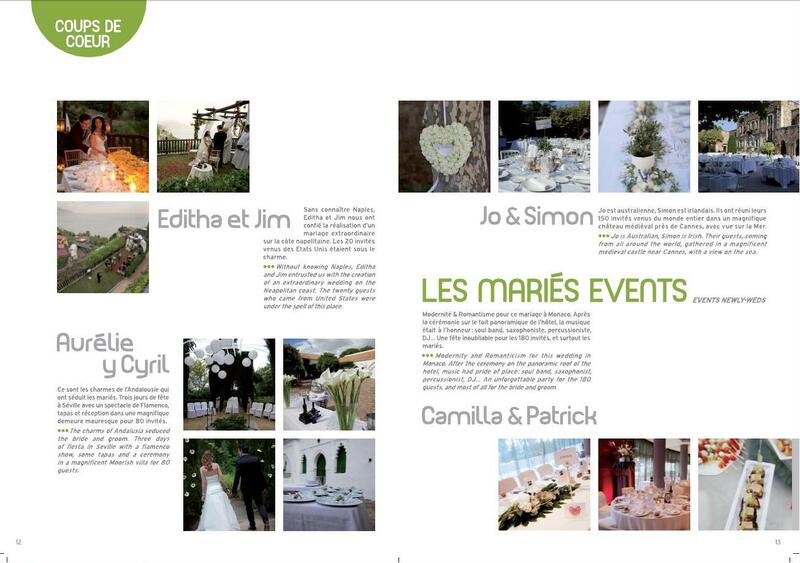 Who are the readers of weddings on the French Riviera ?